Creativity is one of the most human of qualities. But what is creativity, and what makes us creative? 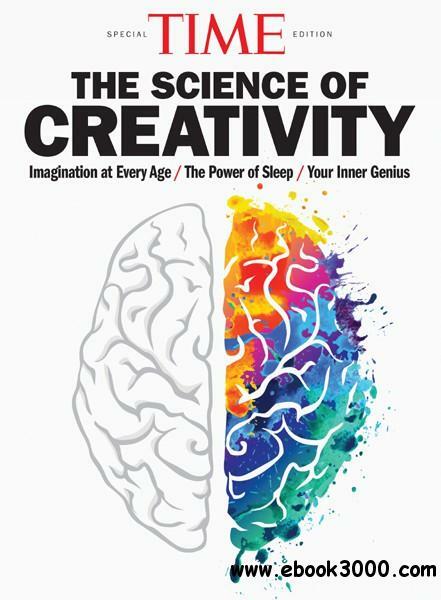 The Science of Creativity takes a look at both the science and the art of this world-changing trait-how we define it, how we measure it and what encourages it. With insights from the editors of TIME, this new Special Edition features thought-provoking articles on the meaning of creativity, its part in human history and its role in our future. Four distinct sections-"The Creative Animal," "The Creative Mind," "Creativity in Action" and "Creativity at Any Age"-are filled with clear explanations of scientific theory, insights into human psychology and tips on learning and parenting to encourage creativity in our children and ourselves. With dozens of illuminating full-color photos, illustrations and infographics, this Special Edition is a must-have for anyone who wants to understand the human mind and its capacity for ideas and connections. Please note that this product is an authorized edition published by Meredith Corporation and sold by Amazon. This edition is printed using a high quality matte interior paper and printed on demand for immediate fulfillment.